After a tough week of price drops and cryptocurrency thefts, there’s finally some good news for the Bitcoin and its fellow cryptocurrencies. Namely, Facebook, one of the world’s leading social networks, announced loosening its ban on cryptocurrency advertisements. People probably remember the shock that hit the industry back in January when the company said it would block all cryptocurrency ads across its platform. 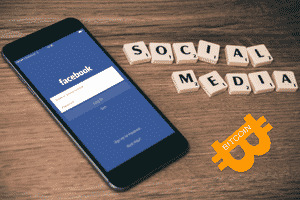 At the time, Facebook’s aim was to prevent misleading and deceptive promotional practices related to cryptocurrency. However, it seems that their stance has been changed in Bitcoin’s favour. As it was reported by Recode, advertiser that would like to promote cryptocurrency businesses, services and promotions such as Bitcoin casino bonuses on Facebook would have to go through an application process first. This process would likely demand from such advertisers to provide licenses, information whether they are traded on any public stock exchanges as well as any other relevant details related to their business. With these restrictions in mind, it is easy to conclude that not everyone interested into advertising cryptocurrencies on Facebook will be able to do so. Namely, the company will process the applications and grant approvals only to those that can prove to be legit and not misleading advertisers. Nonetheless, the company has revealed that they would remain open to any feedback as well as to revising this policy over time. It is interesting to note that Facebook decided to change its ban on cryptocurrency ads only several weeks after the company launched its own blockchain division. According to reports, Facebook was interested in exploring possible ways for incorporating the progressive technology into its much-loved products. It should be noted that even after Facebook introduced the ban in January, there were some ads for cryptocurrencies that managed to get through filters and appear on the platform. Therefore, it seems like a smart step for the company to allow and regulate this type of ads; plus, the fresh ad revenue would surely be warmly welcomed as well. Hopefully, other leading companies such as Twitter and Snapchat would lead the example set by Facebook and loosen their bans on cryptocurrency advertisements. More importantly, let’s hope that Google would do the same as the tech giant banned such ads from its search results back in March 2018. Facebook revising its ban on cryptocurrency ads put the cryptic relationship that leading companies have with cryptocurrencies. Namely, many are carefully entering the world of cryptocurrencies, while others are maintaining their distance. The last tech-forward company to get involved with cryptocurrencies or, more precisely, with the blockchain technology is Alibaba. A company that many consider to be the Amazon of the West, Alibaba has started experimenting with the blockchain, while the company’s founder and chairman Jack Ma has repeatedly expressing the technology’s importance. Nevertheless, when it comes to the Bitcoin, Ma has never been enthusiastic about it. In fact, only few weeks ago during a speech at a conference in Tianjin, he called the world’s most popular cryptocurrency a bubble.